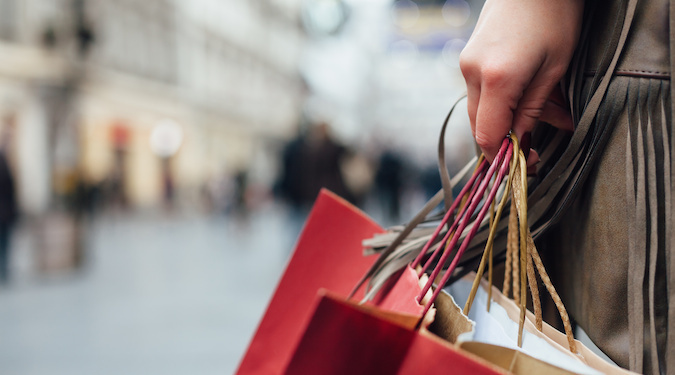 Retailers are continuously seeing the shopper’s dollar spent online rather than in-store – is there a saving grace for brick and mortar? Michael Barnard says to start by ditching the discounts. Customer spending in Australia increased to AU$262 billion in the last quarter of 2018, and has actually continued to rise since 2016, and yet we continue to learn of another retailer closing its doors and entering into administration. Last year alone, we saw the demise of some of Australia’s well known brands, including Toys R Us, Esprit, Ed Harry and Shoes of Prey, to name a few. We recognise that retail is tough, with high labour costs and ever-increasing rent. Not to mention the highly competitive nature, now with the added threat of digital and ecommerce enabling global competition access to Australian customers’ wallets. Can retailers fight their way to sustainable growth? As customer expectations continue to rise, brands have a real challenge in keeping up. This is having a chain reaction on the relevance of their value proposition. Retailers no longer know what their customers really want or what they value, so they try to be for everyone, when in reality that is just not possible. They’ve geared their business for network growth and customer acquisition, which is not sustainable for customer growth. They aren’t sure who their profitable customers are – the ones they should be actively targeting. Instead, businesses have trained customers to expect a sale or discount, however, not every customer is price sensitive. There is also the challenge of understanding the generational effect. You won’t be surprised to hear that 55% of millennials use their mobile phones to shop online, however it may surprise you that one in two millennials actually still prefers to shop in-store. Retailers need to be thinking about how they bridge the gap between online and in-store. E-commerce and retail are no longer separate, they are one in the same. Digital makes it a lot easier for customers to shop around. Australian retailers shouldn’t be focusing solely on the brands posing a national threat, but also brands across the pond. Yes, this adds additional pressure to Australian retailers, but don’t bow down to this pressure by simply lowering your prices to buy customers with discounts, assuming they’ll automatically spend more the next time they shop with you (if they do come back). Think about how you can connect the online and in-store experience. You don’t necessarily need to invest in the latest app and digital technologies – understand who your customers really are in order to effectively use tools such as marketing automation platforms. We haven’t even touched on the impact of social media. Social shopping is on the rise. Instagram has just launched a checkout functionality, which is a reflection of the growth of the retail omnichannel experience. Retailers should be considering how they use social to build customer relationships, not just through sales, but also through post-purchase and after-care support. Don’t underestimate the impact of the human element on your digital channels. Yes, most people love to be self-sufficient when using digital, however they also like to know they can access a real person when something goes wrong. How can a retailer grow the right way? Find out who your most profitable customers are and look after them. Deliver the right value for the right customer. I attended an event recently in which a global director from one of the world’s largest creative agencies stated that “Australian retailers were price and discount obsessed. It should actually go much deeper than this.” A good example of this is department store Myer, it has actually started seeing better results since it stopped being price focused and started focusing on the actual customer experience. Don’t treat your channels as separate communication lines. If a customer complains via social media, then calls the contact centre – the agent should know immediately what the complaint was and the resolution strategy. Some retailers put scalability above sustainability. Before even considering opening a new store, you need to be sure your existing stores are performing and that you truly understand your existing customers needs, wants and desires – and ultimately how to drive them back to repurchase. Everyone always talks about the customer experience, yet the employee experience is actually more important. Great frontline staff can really make a difference to your business. Look after your people, and they will look after your customers.